Protective cover for Ovalie 430. 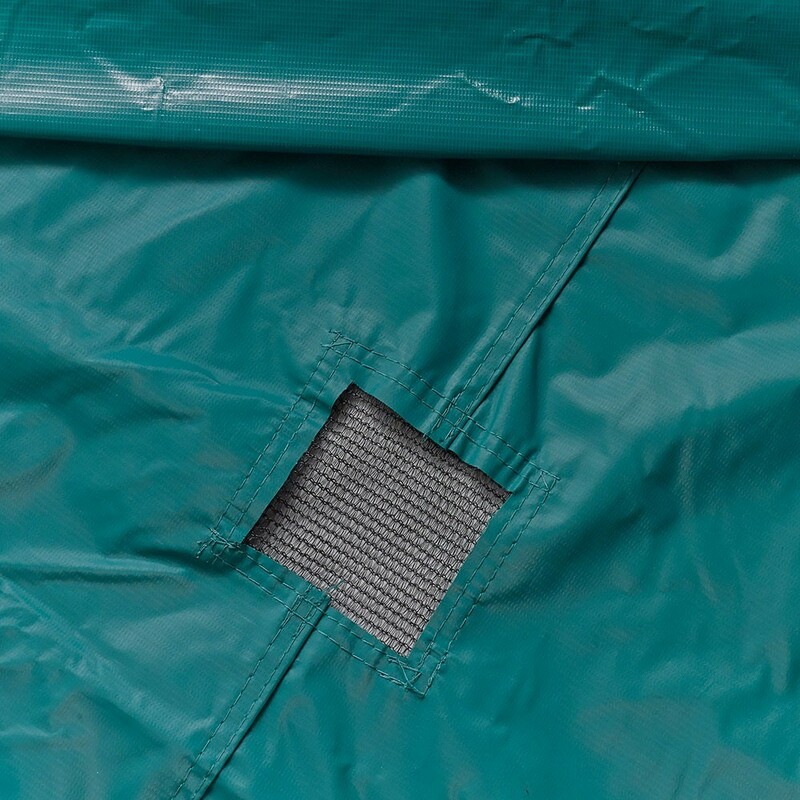 This protection cover efficiently preserves your trampoline against the effects of time. It allows you to leave your trampoline outside all year round, avoiding any deterioration. 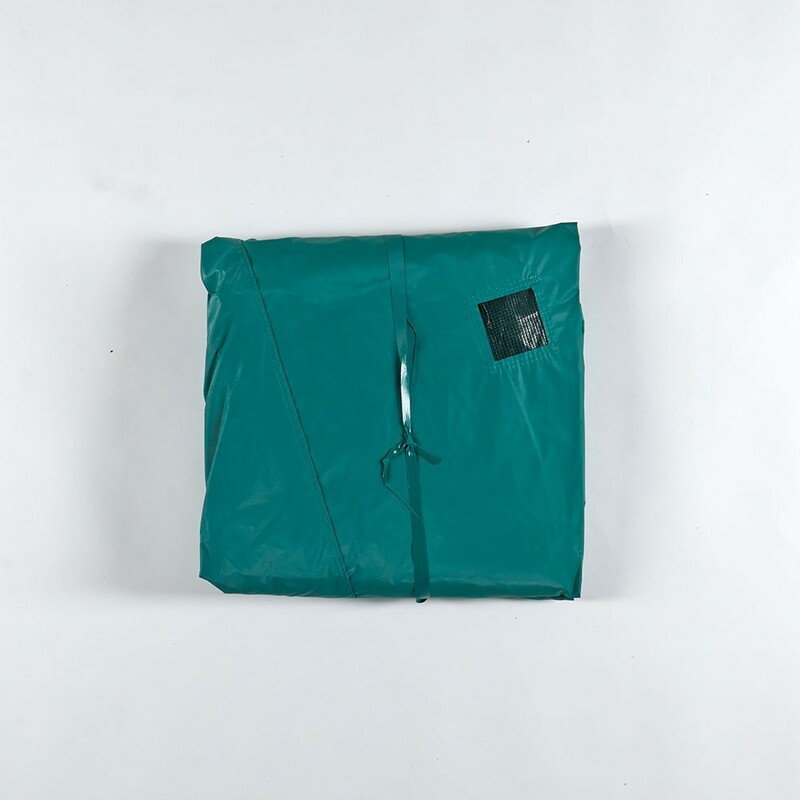 Thanks to this cover, your trampoline will remain clean in all conditions and be ready-to-use at any moment. - This cleanliness cover is perfectly adapted to the Ovalie 430 sold on our site. 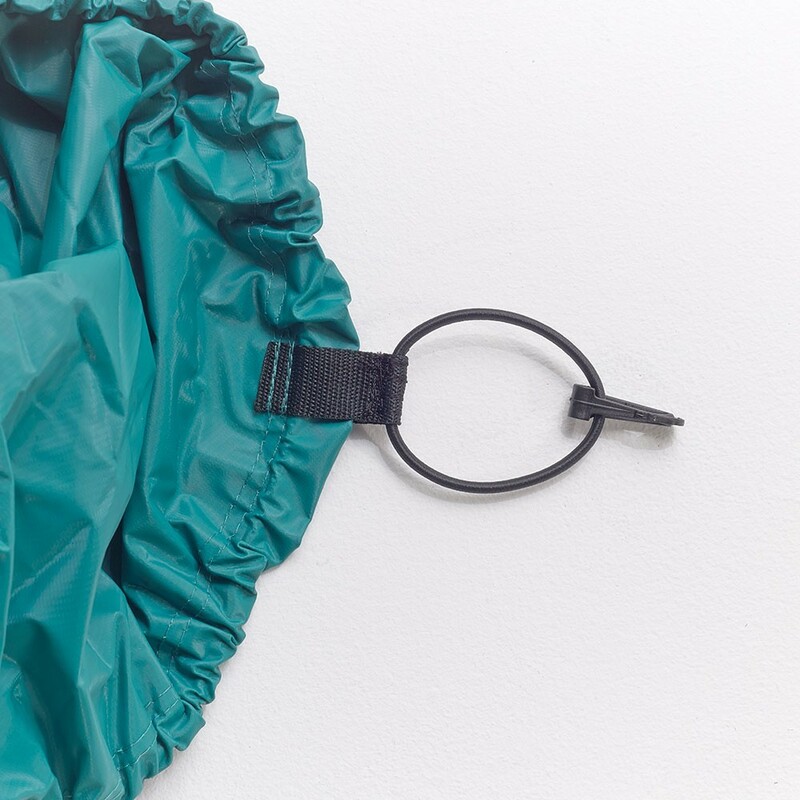 - Our covers are made from a high-tech fabric covered in a thick PVC. The density used is very similar to that which is used on lorry tarpaulins. The PVC protects it from wear and tear and climate change. 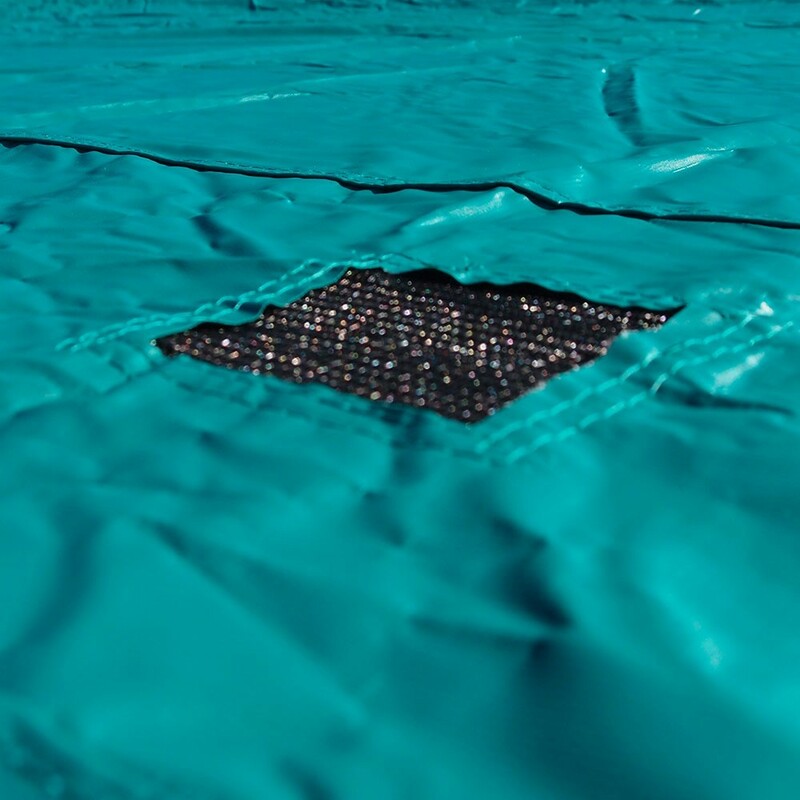 - In order to allow water evacuation and to prevent it from pooling on the trampoline, 3 grids have been strategically placed on the cover. 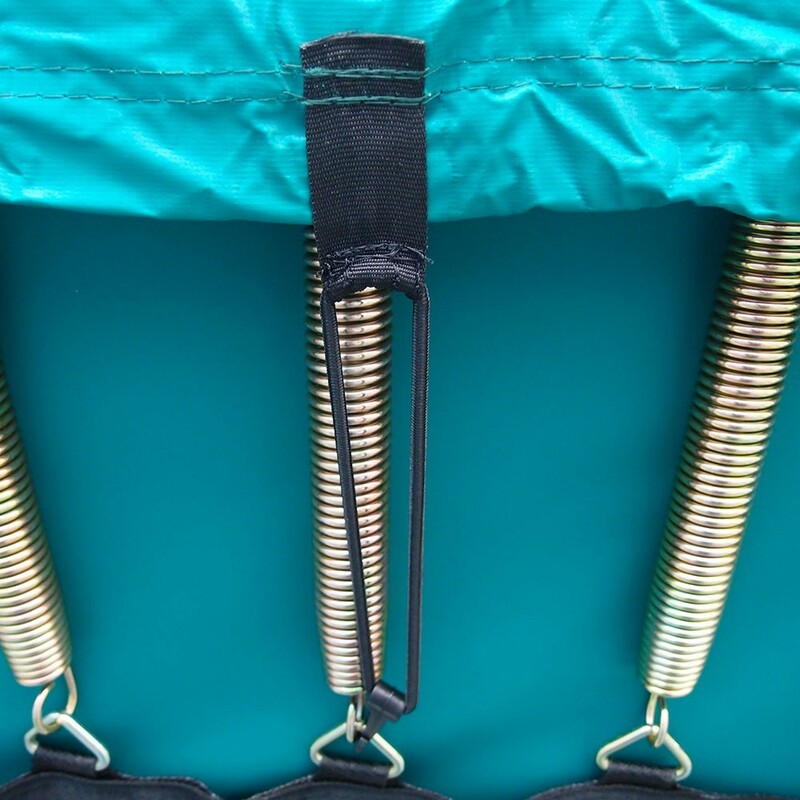 This stops the springs and the jumping mat from getting damaged and allows your trampoline to remain dynamic. 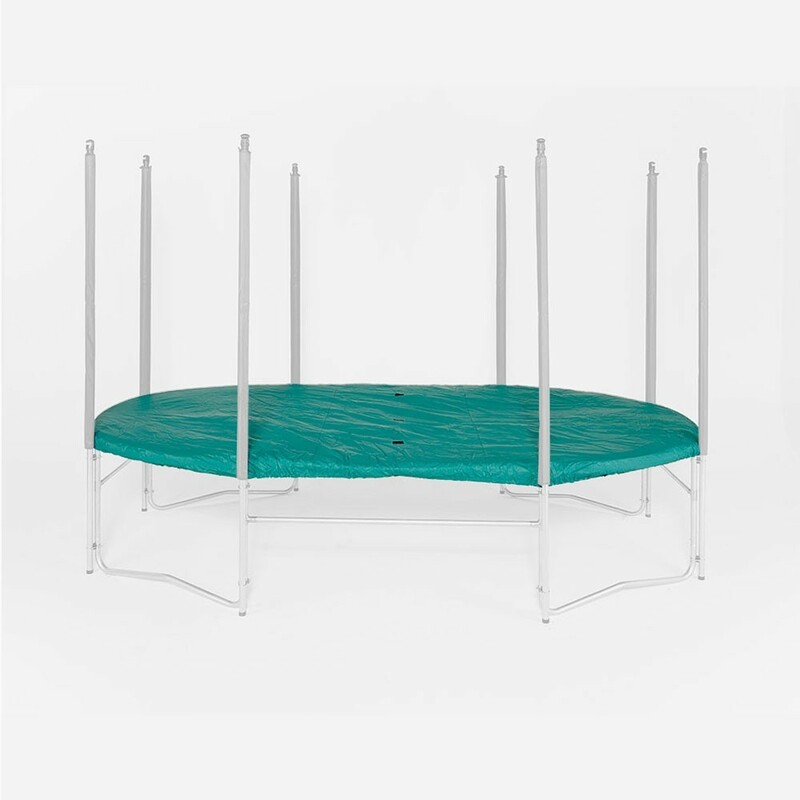 - The fixation system is simple: a thick black elastic keeps the cover tightly fixed under the trampoline and covers the jumping pad and the frame pad completely. Several hooks are also added for extra tension. - The cover is green which allows it to blend discreetly into the surroundings of your garden. The protection cover can be used in summer as well as in winter. During frosty periods, it protects the trampoline from humidity and cold and during the summer months, your trampoline is protected from UV light.